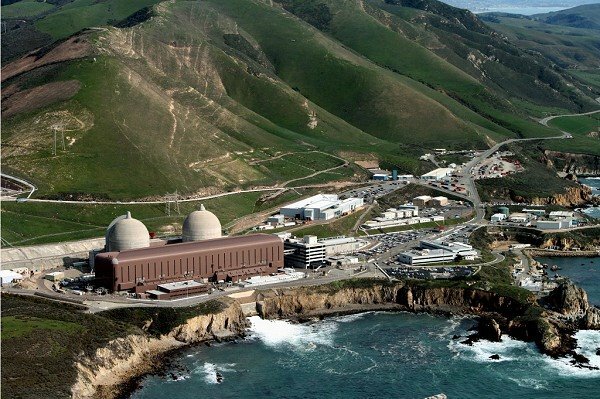 In January, the California Public Utilities Commission approved the closure of the nuclear plant but rejected a proposed settlement in which PG&E would dole out $85 million to local government agencies as compensation for lost tax revenue. The CPUC decision upheld a ruling against the settlement issued by Peter V. Allen, an administrative law judge. Allen’s ruling stated the proposed settlement hinged on a PG&E rate hike that would have contradicted general rate making principles and public utility law. Ratepayers should not be required to pay for local government services that are typically funded by taxpayers, Allen said. Central Coast lawmakers Sen. Bill Monning (D-Carmel) and Assemblyman Jordan Cunningham (R-San Luis Obispo) responded to the CPUC decision by co-authoring SB 1090. The bill would amend the Public Utilities Act and require the CPUC to approve the $85 million settlement. Additionally, SB 1090 would require the CPUC to approve a $350 million PG&E employee retention program, as initially written into the settlement agreement. The CPUC approved a smaller employee retention package of $222 million. PG&E spokesman Blair Jones told The Mercury News the bill would result in an increase of about .2 percent to the average customer’s monthly bill. The increase would be removed from rates in 2026, Jones said. SB 1090 passed the Assembly on a 67-1 vote. It previously passed the Senate on a 31-4 vote. Monning said he hopes Gov. Brown will be supportive of the “carefully planned retirement” of Diablo Canyon and will sign the bill. Brown has until Sept. 30 to sign or veto the legislation. Sounds like a shakedown to me. When did government become the mafia? I believe this happened shortly after Capone was done away with. During the FBI’s efforts to rid this country of organized crime; they discovered that what the mob was doing and how they were doing it was not a bad thing – just had to make it sound legal. And we taxpayers have been shook down ever since and will be for evermore. I see no reason to give these govt agencies any money for the closer of DC, they let this happen they need to go without,stop the give away programs and live within their means. If signed all our electric rate will increase. Does anyone really think the money will not come from the ratepayers? with higher salaries, better benefits, etc. ; just watch your rates go up substantially more than .2%. If Governor Brown was really on the side of the people, he would veto this stupid bill. It will be fun to watch how quickly these government agencies can waste $85,000,000. Who will get the first raise? Just remember that all funds that are received into any General Funds that close to 75% are used for salaries, benefits, retirements and any other perks. So you can see who will really benefit from this extortion, tax or rate increase? Just look who is supporting it? so it would seem he should decide by the end of the month. I guess, maybe the 12th day is September 1, so maybe he could wait that long, but that would seem unnecessary.